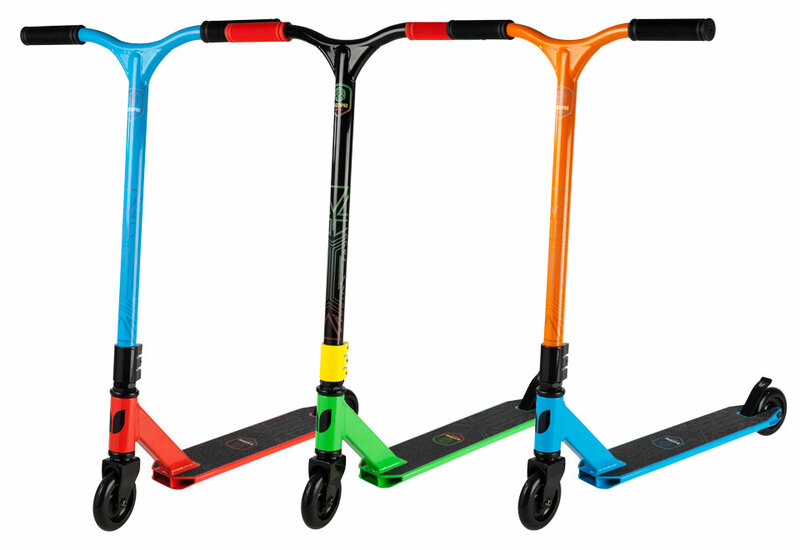 New to our range is the pro level Titan series. 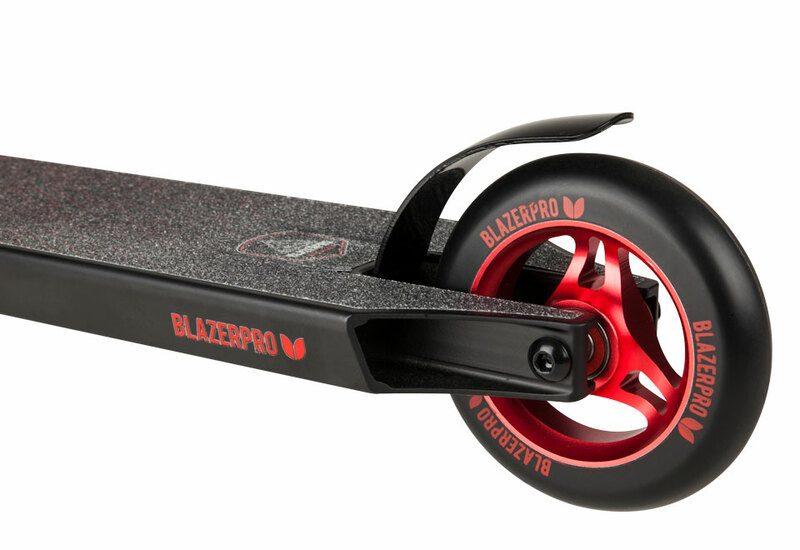 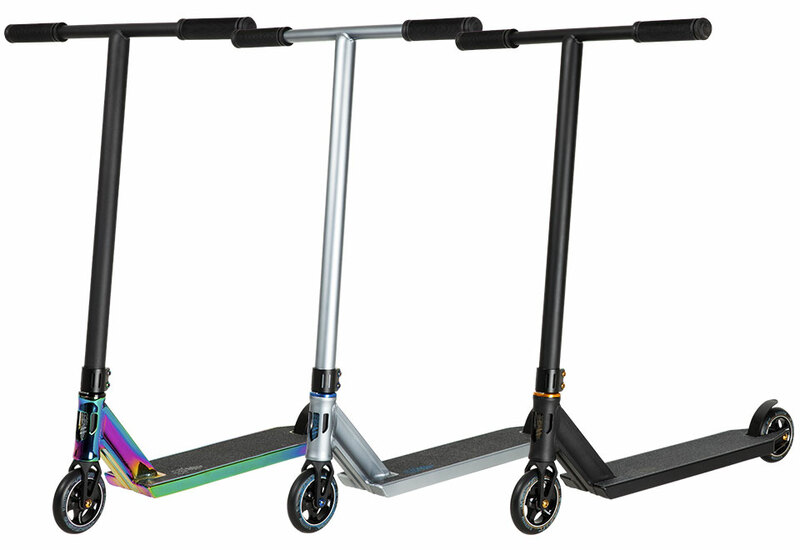 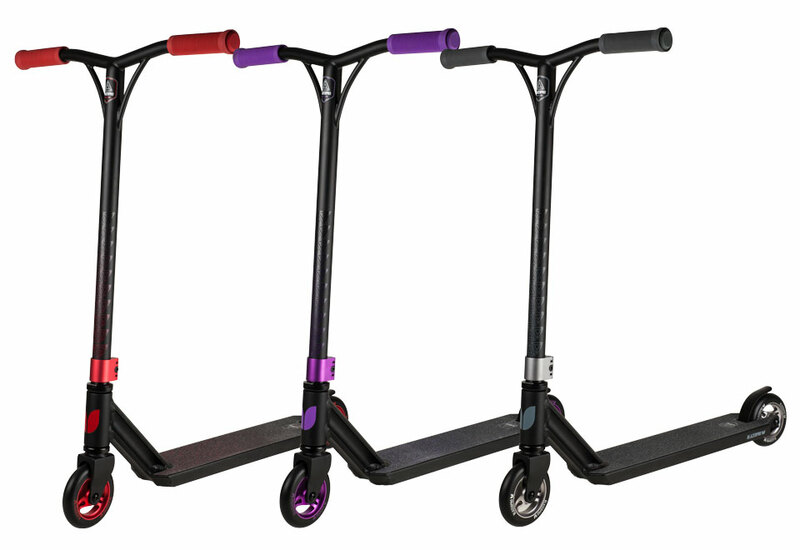 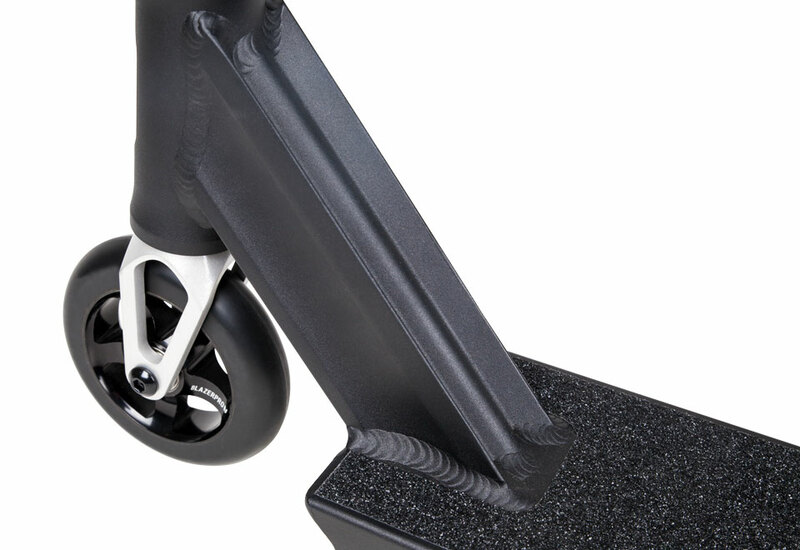 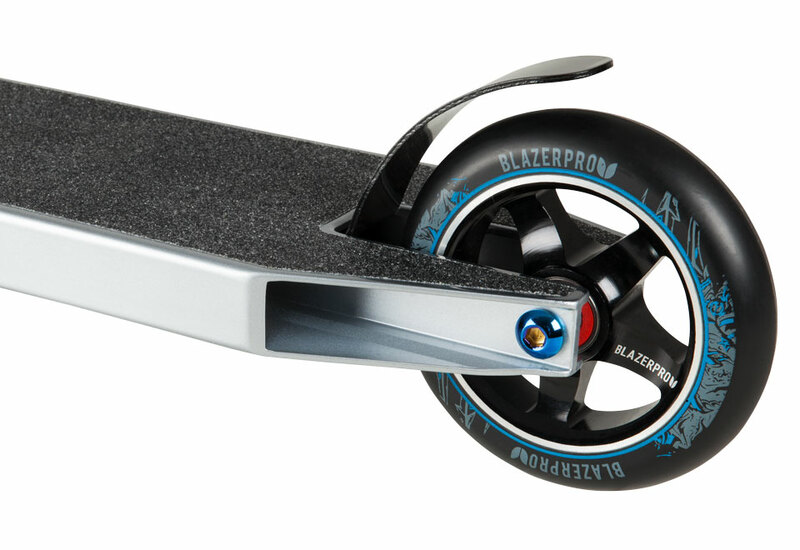 These brand new complete scooters have larger decks and bars, but have maintained the lighter weight of our Diamond completes. 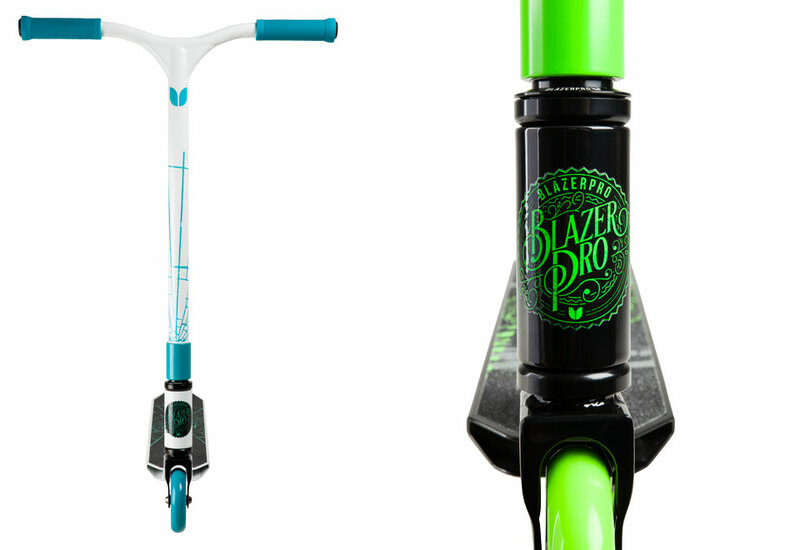 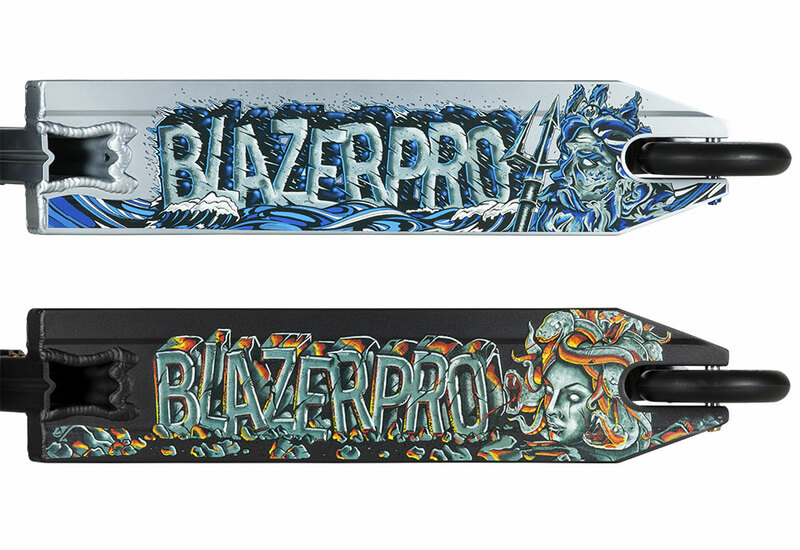 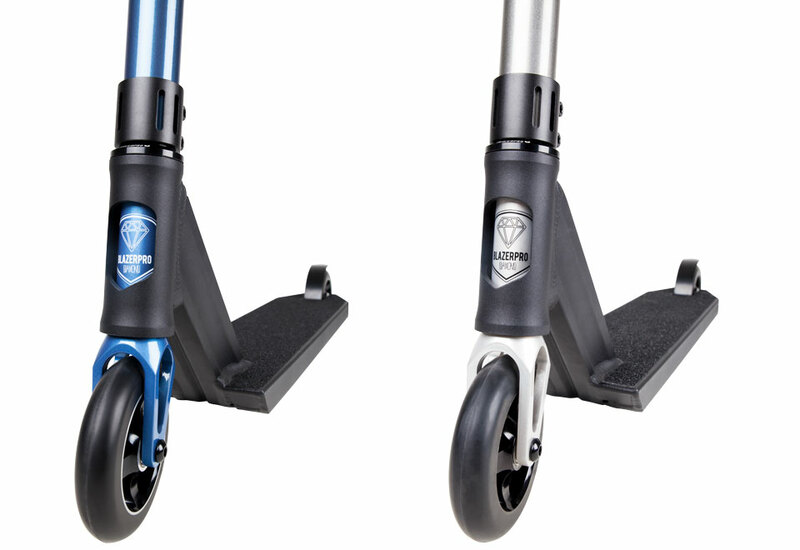 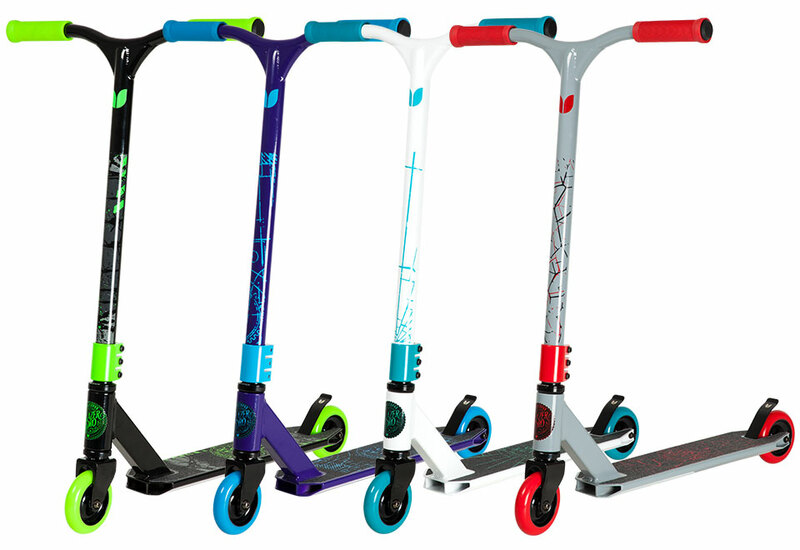 With incredible hand drawn graphics, these scooters come in three exciting new colourways. 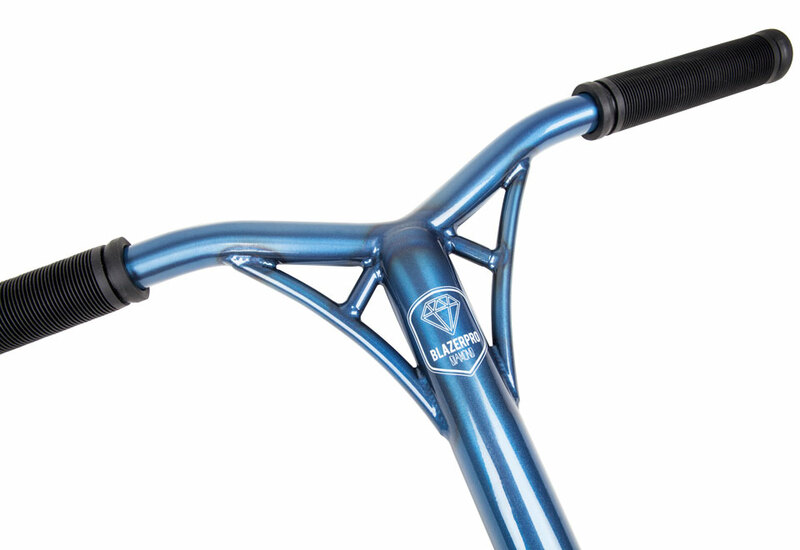 At the heart of the Diamond is the all new exclusive extruded deck with CNC head tube. 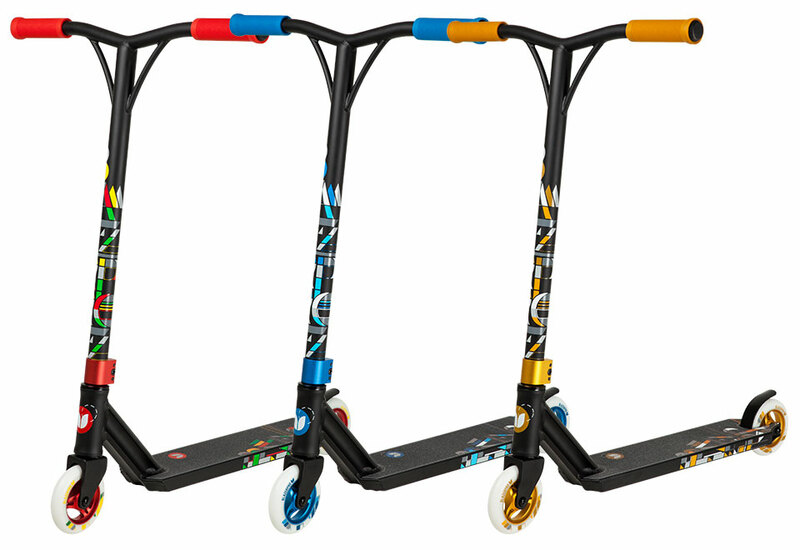 The bars and deck are bigger than our previous models, but we’ve kept the weight down to 3.7 kg – strong where it’s needed and light enough to shred all terrain. 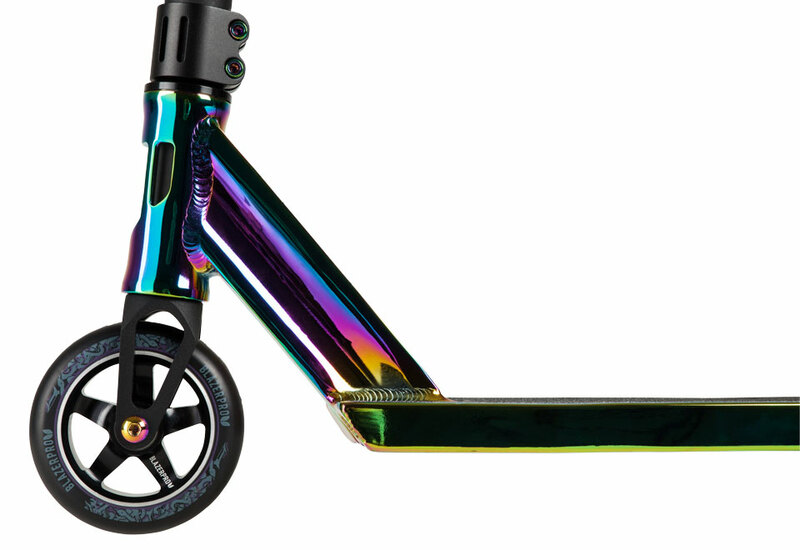 The liquid-painted bars and forks finish off our flagship complete scooter. 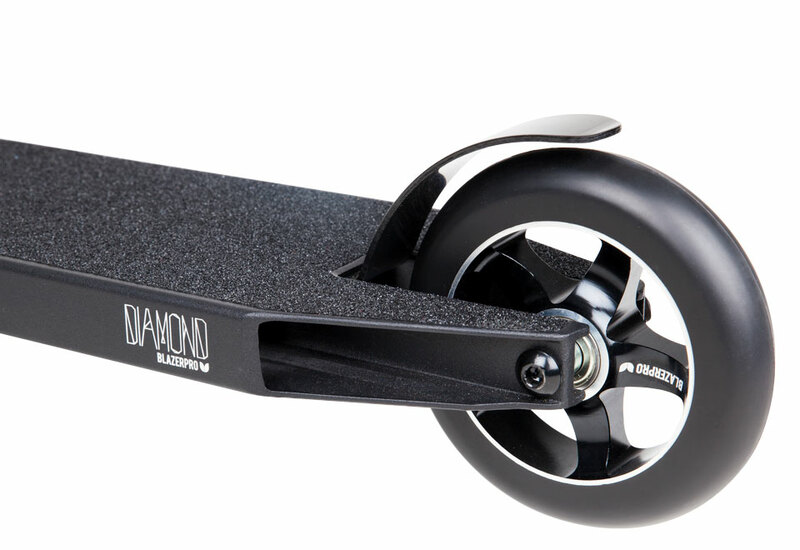 True to its name, the Diamond not only looks great but is built to perform at the cutting edge. 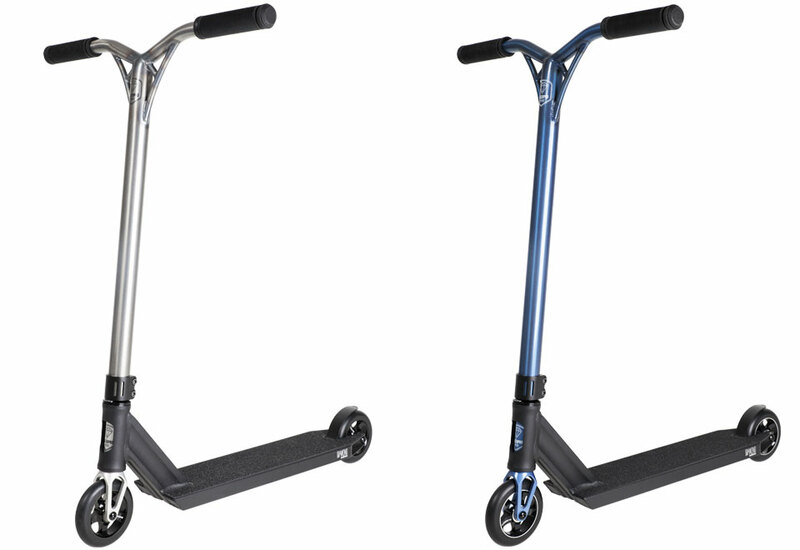 The 2017 Mosaic is fully built from heat treated 6061 Chromoly material, this scooter has been tested to withstand everything. 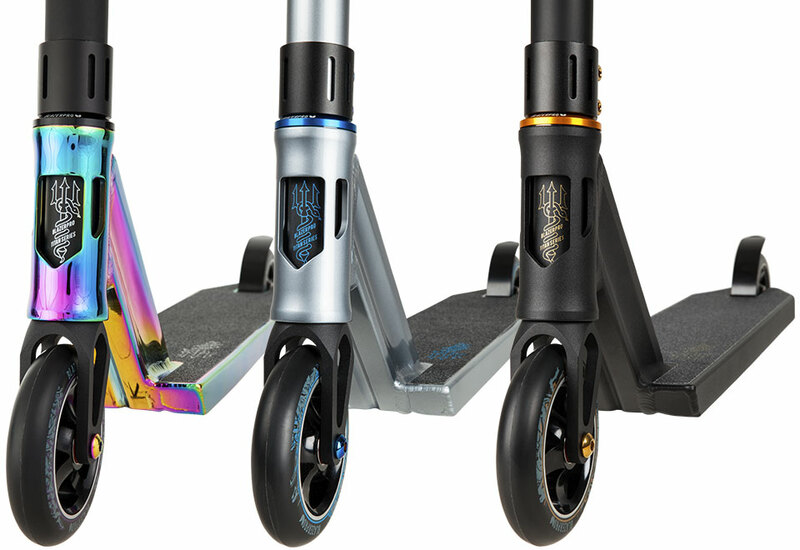 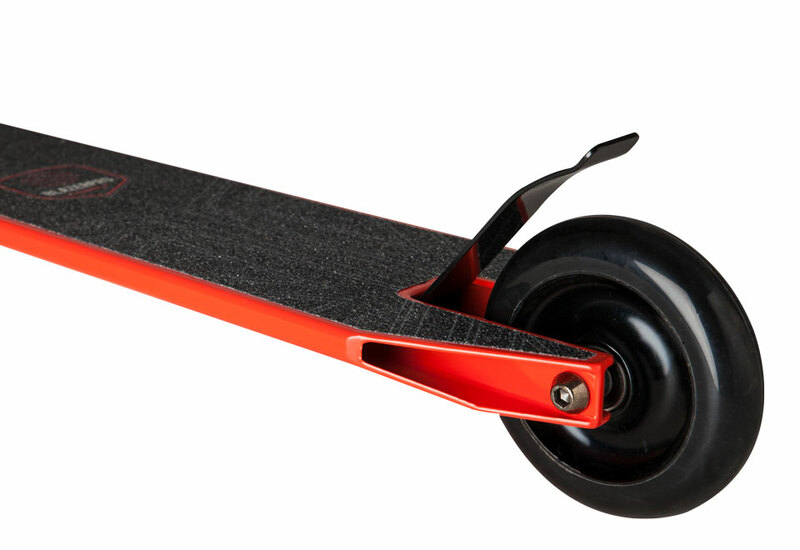 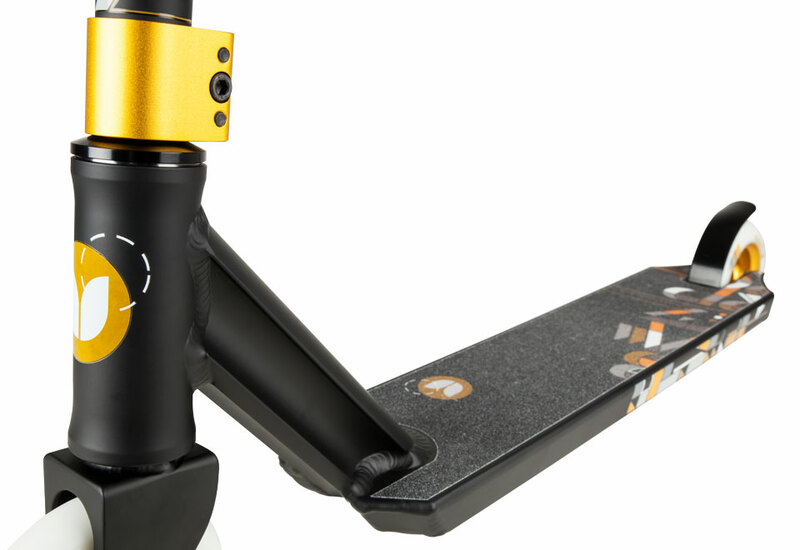 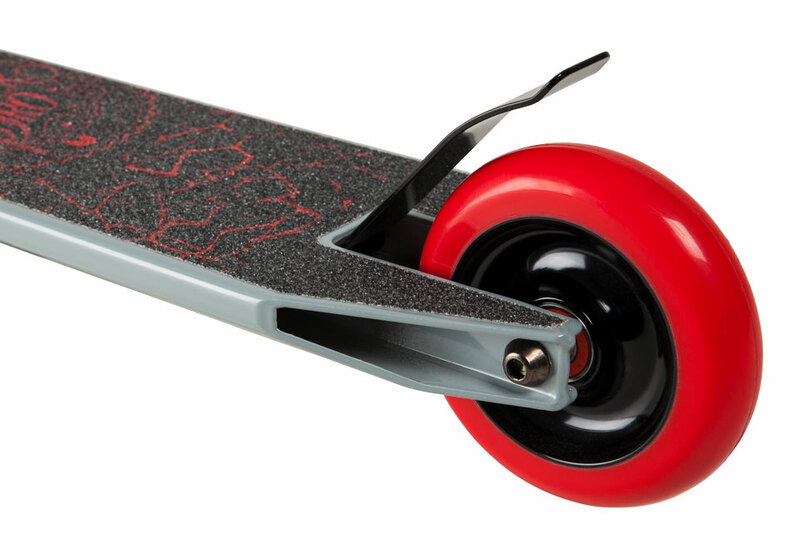 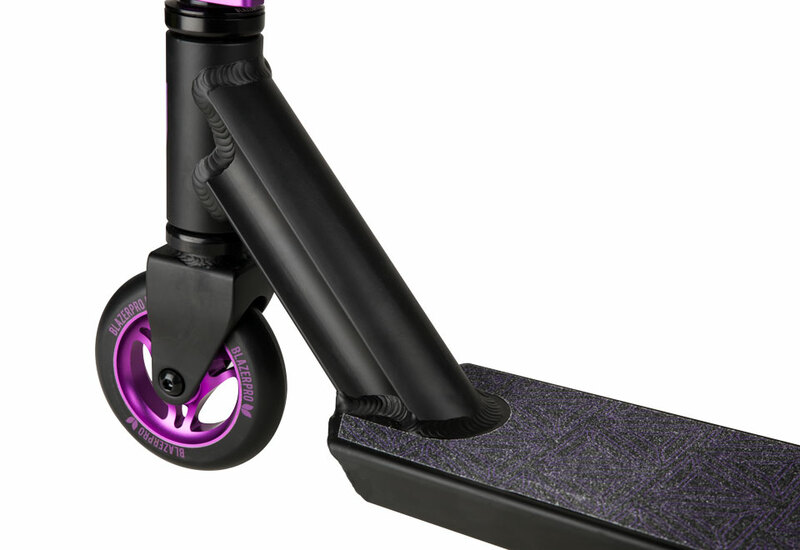 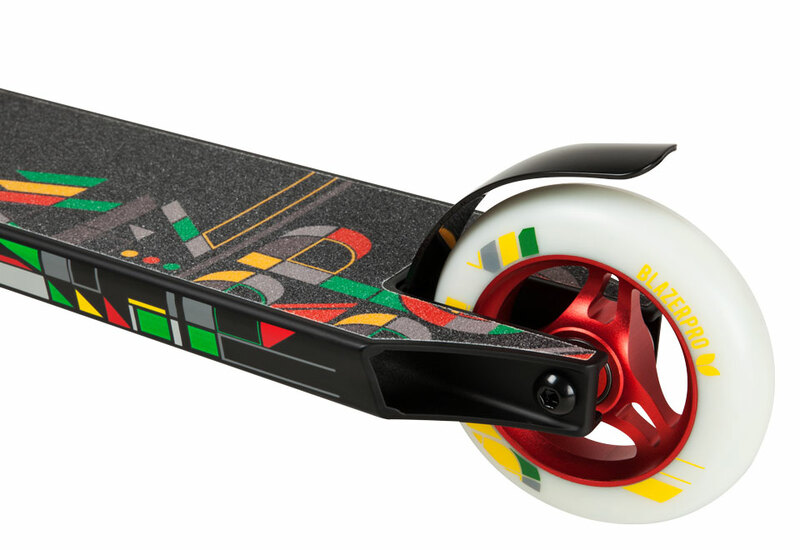 The new Spectre complete is packed with all the features you would expect on a pro scooter, including a brand new deck design and shape. 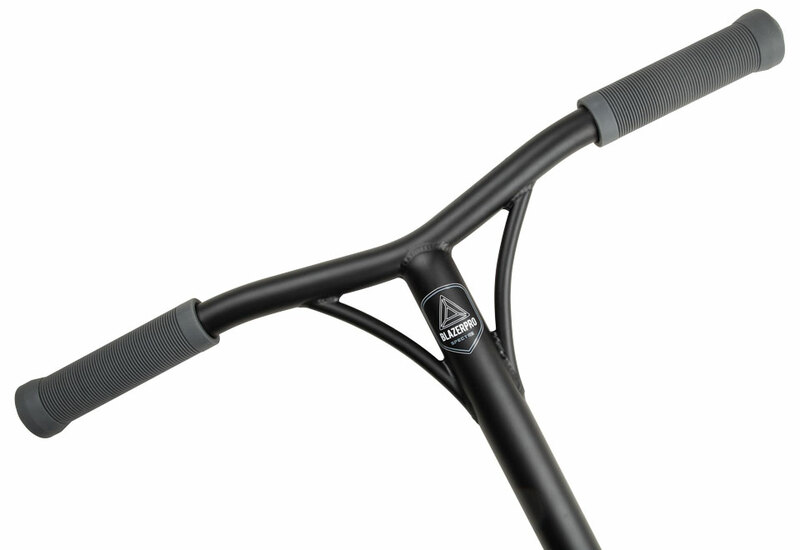 Semi Integrated headset with IHC compression, 560mm wide bars with 110mm wheels. 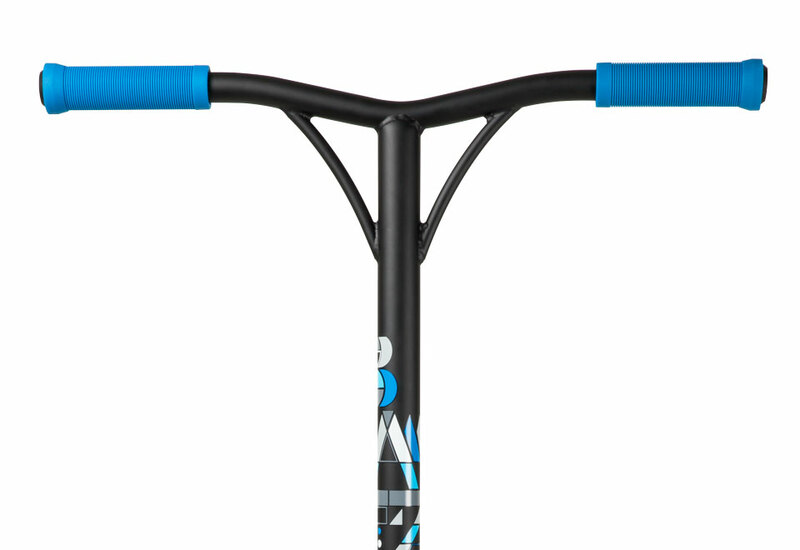 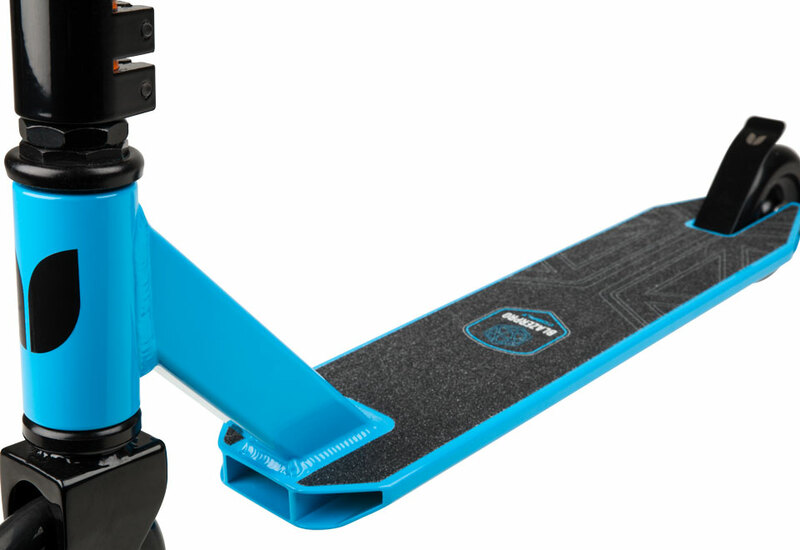 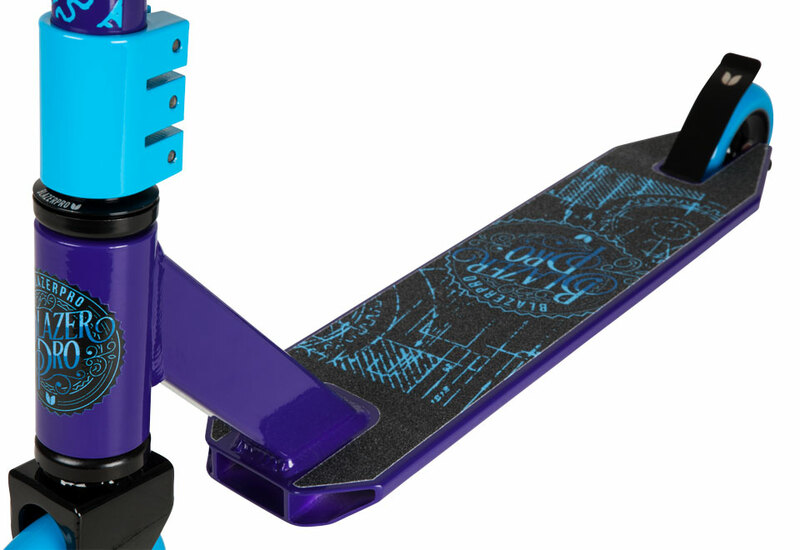 The Cobalt complete is perfect for aspiring riders looking to push themselves to the next level.